Winter is a great time to take it to the NEXT Level. Set your goals and come join us on Friday nights so we can help you reach them. Speed, Strength & Agility Training – We will be offering our athletes speed and strength development this winter. At any level maximizing your speed and strength will not only improve overall performance, but will also help to prevent injury. When it comes to speed and strength in soccer this can be quite a complex process and is not just about running faster and lifting heavy weights. 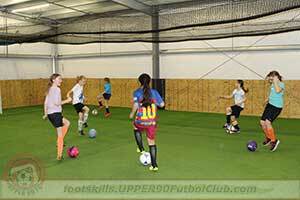 Foot Skills Training – Looking for some extra touches and training from the UPPER 90 FC coaching staff. Here is your opportunity. We are offering you 60 minute sessions of intense specialized training and individual attention. Designed to maximize the progression of each player during these sessions. The program focuses on attention to the details. 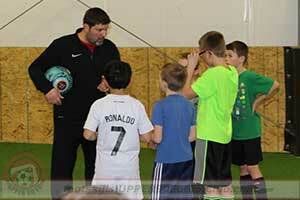 This program is for both UPPER 90 FC Club members and NON club members. Per 1-hour training session. Pay the coaches cash or check the day of your training. Please complete the registration waiver. Only needs to be completed once for all indoor training at CDSI between November 2017 – February 2018.